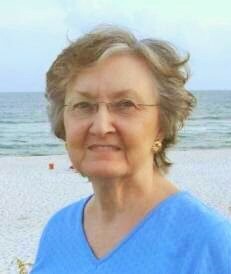 Jo Huddleston is a multi-published author of books, articles, and short stories. Novels in her West Virginia Mountains series and her Caney Creek series are sweet Southern historical romances. 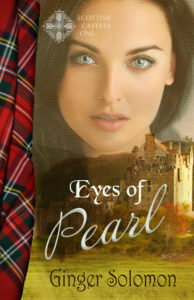 Her novels are endorsed by Amanda Cabot, Cara Lynn James, Sharlene MacLaren, and Ann Tatlock. The redeeming story of God’s pursuing love is the foundation of her novels, and in them you will find inspiration, hope, and gentle stories that are intriguing and entertaining. Jo is a member of American Christian Fiction Writers and the Literary Hall of Fame at Lincoln Memorial University (TN). Adriana, thanks for inviting me to join you for lunch. May I ask you a few questions? Of course. I’ll answer between bites. I don’t want to be late getting back to work. Thank you. You work here in Morgantown, West Virginia at Edwards Drugstore, correct? Yes, I’ve worked full-time all summer. What is your job? Are you the cashier? No, ma’am. I’m a Pharmacy Assistant for Mr. Edwards. I love my job. I’ve learned so much about the things we carry here that help people with their ailments. Have you lived here in Morgantown all your life? No, ma’am. Before I moved here this past June, I lived in Coaltown, West Virginia. My papá is a coal miner there. My brother, Robby, married the daughter of the coal mine’s owner. About four years ago, Robby and Julie moved here to go to school at West Virginia University. When I graduated from high school, they invited me to visit them for a while. Adriana, you have such beautiful dark hair and brown eyes. And you call your father Papá. Could you be Italian? Yes, I’m Italian. My ancestors came to America in the 1800s to work in the coal mines. I think my brother disappointed our papá when he didn’t follow him into the mines. When Robby and Julie married, her daddy paid both their ways through college. Mamma’s pleased that Robby chose college so he could make something out of himself. I’m pleased too or I wouldn’t have had the chance to leave Coaltown. Since you’ve stayed all summer, you must like it here? I do. I think Julie—my sister-in-law—thought I should have an opportunity to see what the rest of the world looked like. I’d never lived anyplace except coal mining communities before coming here to Morgantown. I hope I don’t have to move back to Coaltown. Could you have met a young man here that’s influencing your desire to stay in Morgantown? Yes, I have. Patrick works here at the drugstore. He is so good to me, always looking out for me. He’s such a gentleman and so sensitive. Patrick gets along well with Robby and Julie. And he’s invited me to go home to South Carolina with him for the Labor Day weekend. Patrick will take me to see the ocean for the first time. I hope I get to go. Do you think you might not get to make the trip? Well, since Mamma and Papá live so far away, I can’t ask them for permission. I’ll have to ask my big brother Robby, and he may not allow me to go. He tries to act like my parents and is a little over-protective where I’m concerned. He probably just wants what’s best for you. Yes, ma’am. That’s what Patrick says. I guess it’s time for you to get back to work. I hope you get to make your trip with Patrick. Thanks for talking with me. You’re welcome. I hope so too. Thanks for stopping by Jo and Adrianna. 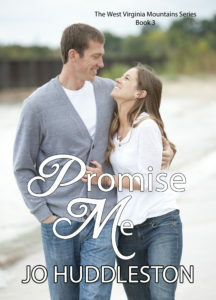 Readers, remember to comment for a chance to win an e-copy of Promise Me. Don’t know what to say? Answer this: What’s the furthest you’ve traveled away from your hometown (either where you live now or where you were born)? The furthest south I have traveled is Galveston, TX. The furthest north I have traveled is Detroit, Michigan and then just over the bridge into Canada & back. The furthest west I have traveled is Seattle, WA, and the furthest east I have traveled is Boston, MA. Becky, you’ve had some interesting travels. Thanks for stopping by and commenting. From new jersey to minnesota. To Arizona took son to college there. Beautiful but to hot for me. I love Jo’s books awesome writer. Loved the blog. Diana, glad you enjoyed the blog post. So glad you love my books. Thanks for your kind words! Jan, you went far away from your hometown. Thanks for coming by and leaving your comment.